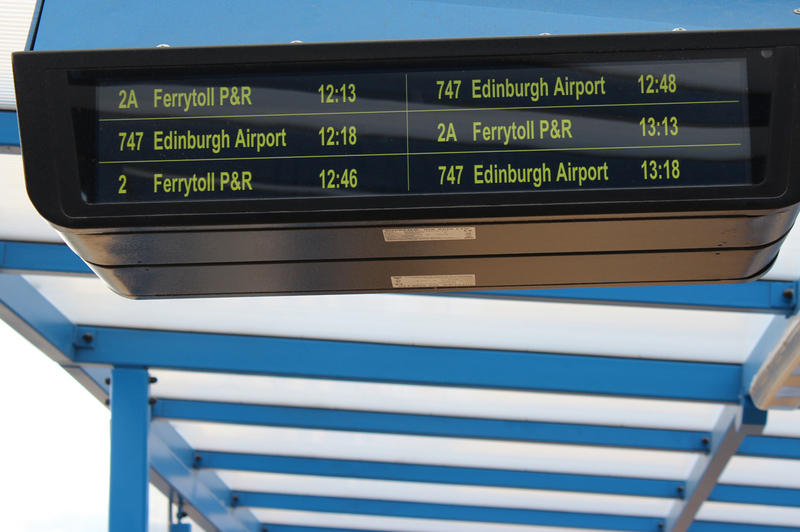 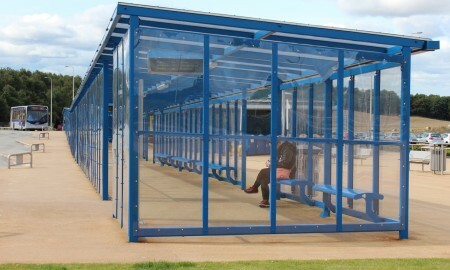 Product: Bespoke passenger waiting enclosures with electronic timetables and integrated seating and lighting. 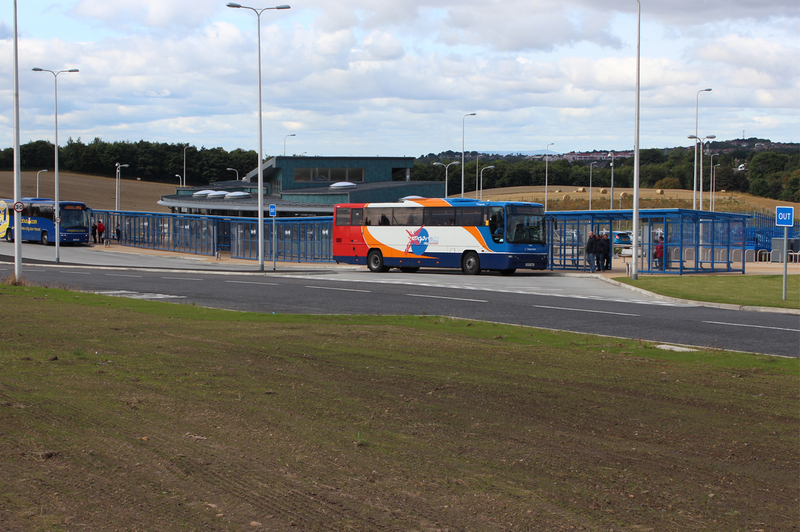 This £10 million facility located just off the M90, to the east of Dunfermline, will support the new bridge, Queensferry Crossing, and build on the success of the Ferrytoll Park & Ride, further enhancing transport links between Fife and Central Scotland. 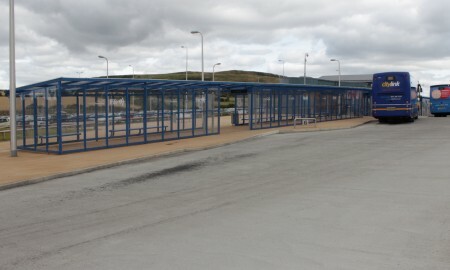 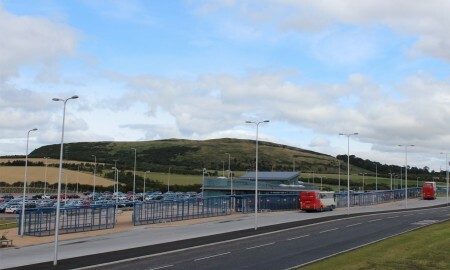 Halbeath Park & Ride has more than 1000 car-parking spaces, six bus stances, heated waiting area with toilets, seats, vending machine and staffed supervisor’s office. 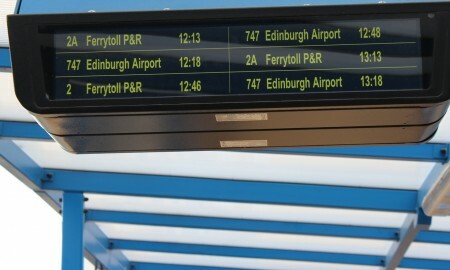 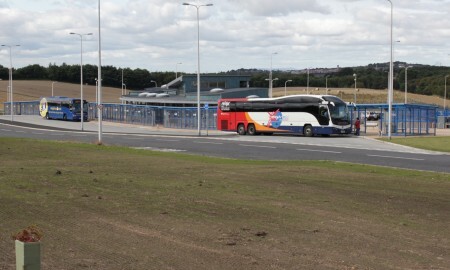 Commuters will be able to park and catch a regular bus service to Edinburgh, Edinburgh Airport, Glasgow and Dunfermline among other destinations. 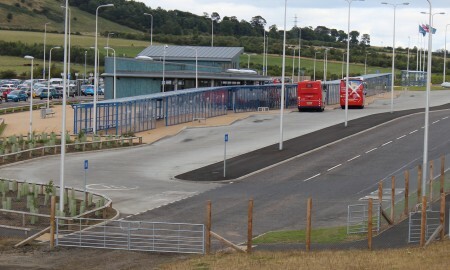 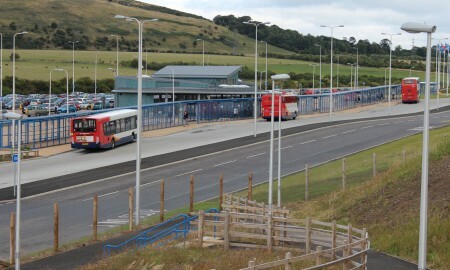 There are dedicated bus lanes on the M90, prioritising public transport between Halbeath and Edinburgh, making it a viable option for commuters into the city. 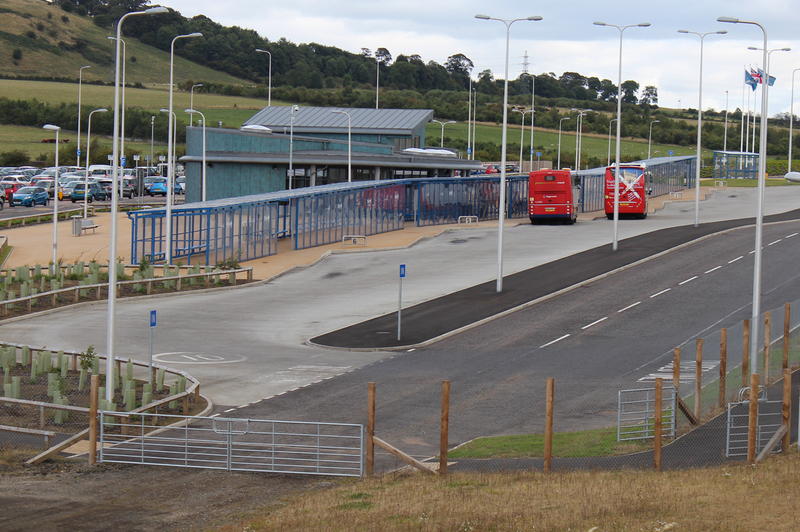 Transport Scotland has funded this project and Stirling-based contractors, Robertson, carried out construction. 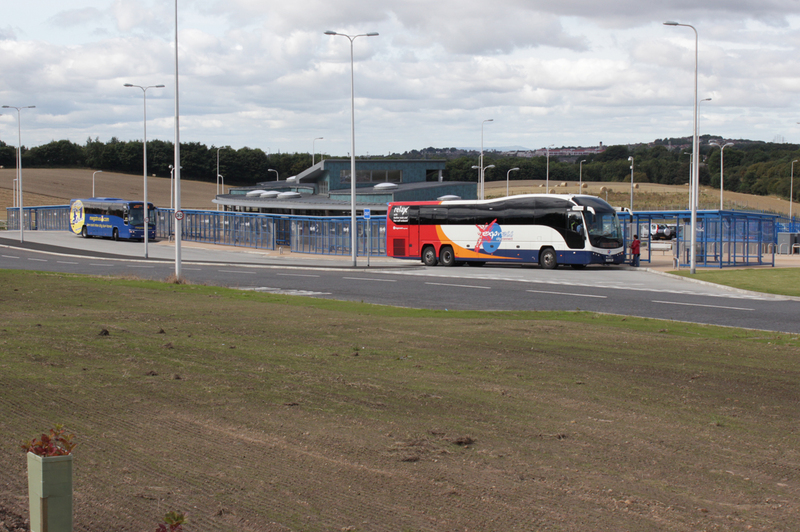 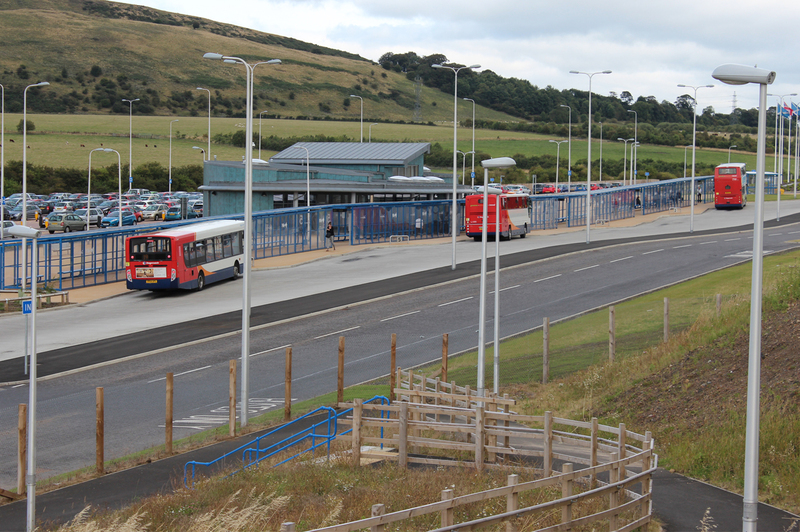 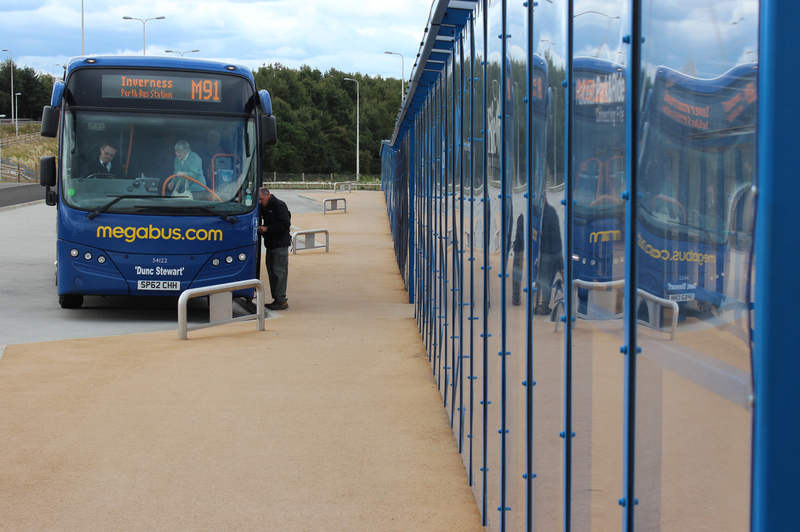 The site will be managed and maintained by Fife Council and through a partnership agreement, staffed by Stagecoach. 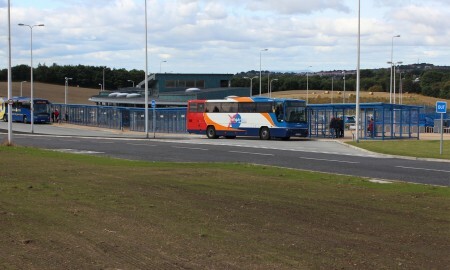 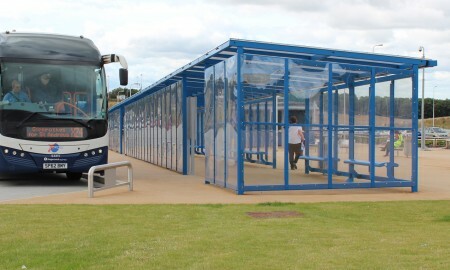 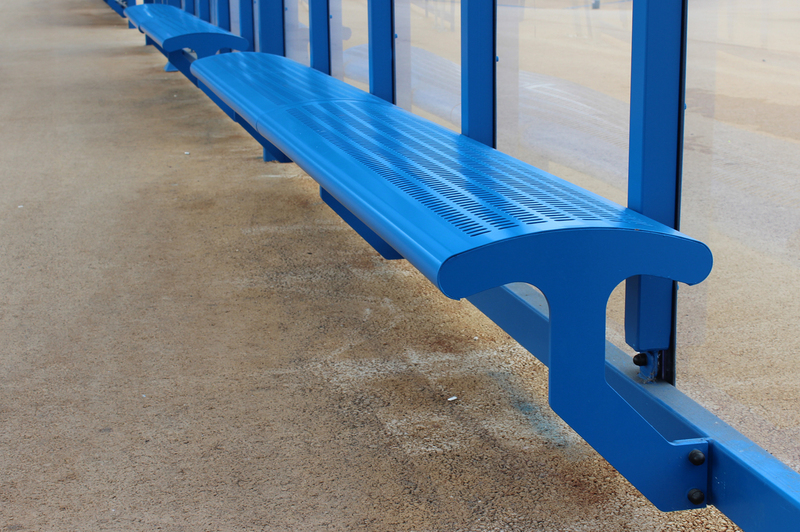 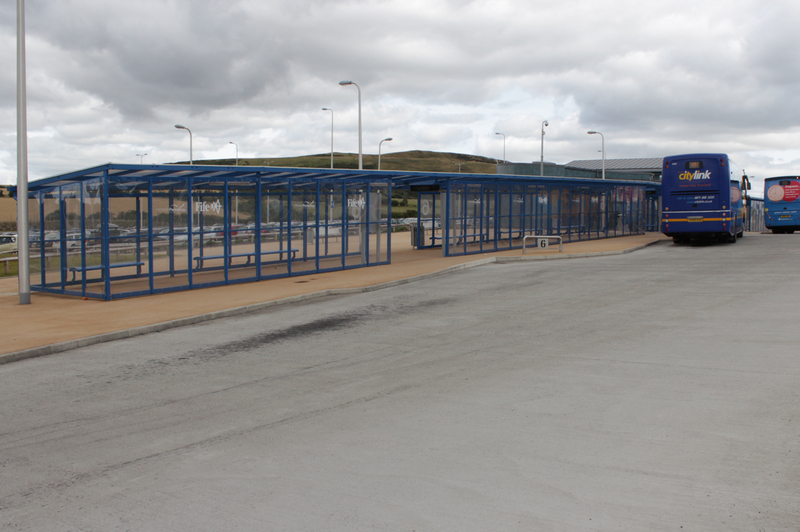 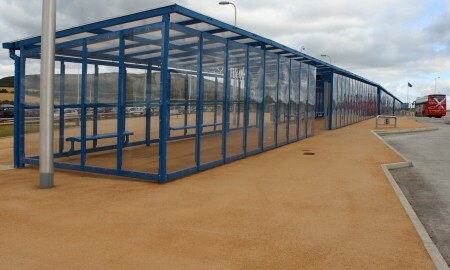 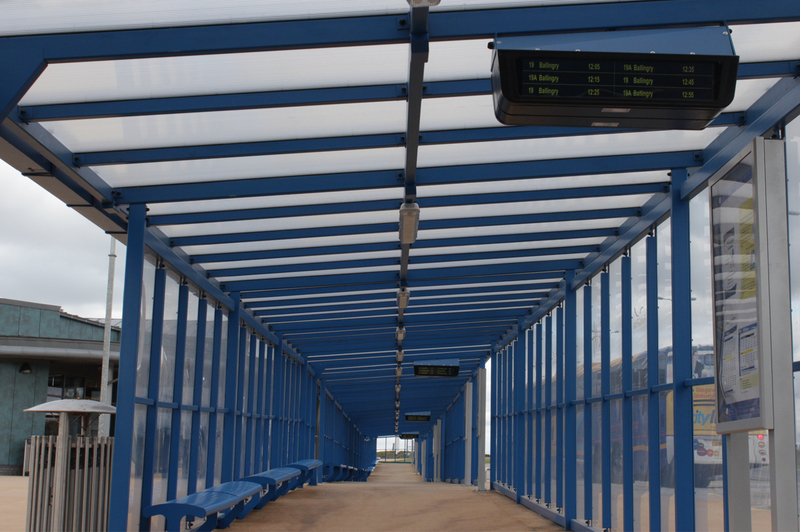 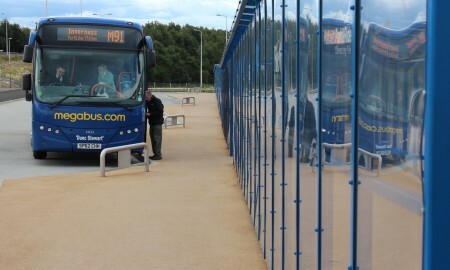 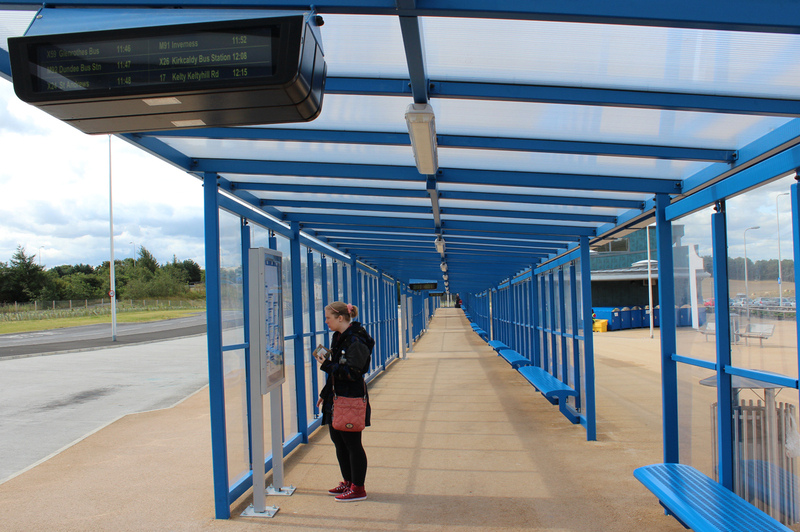 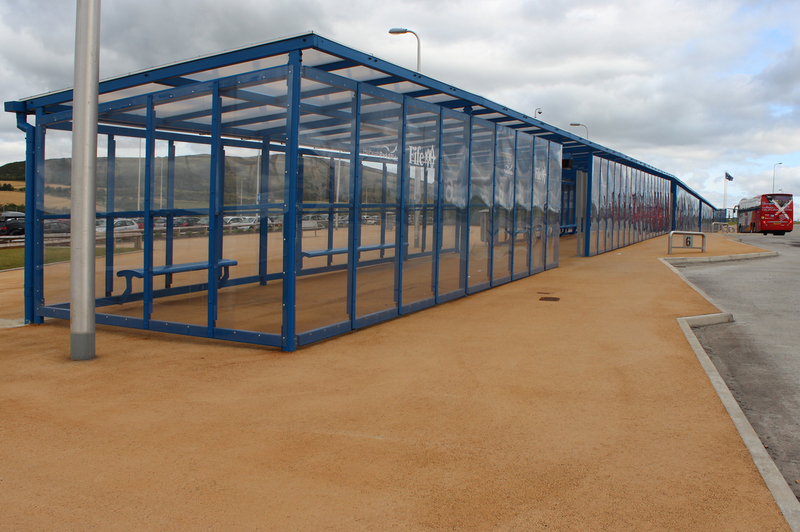 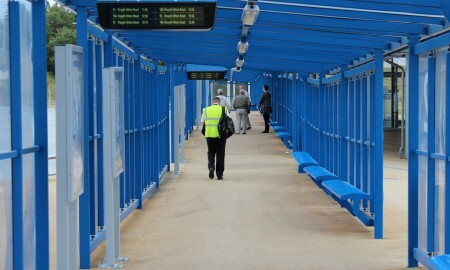 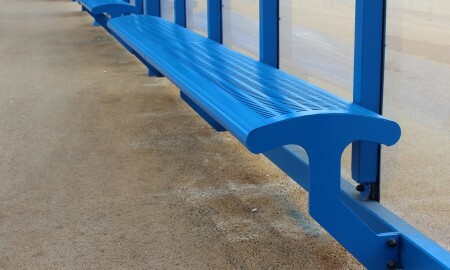 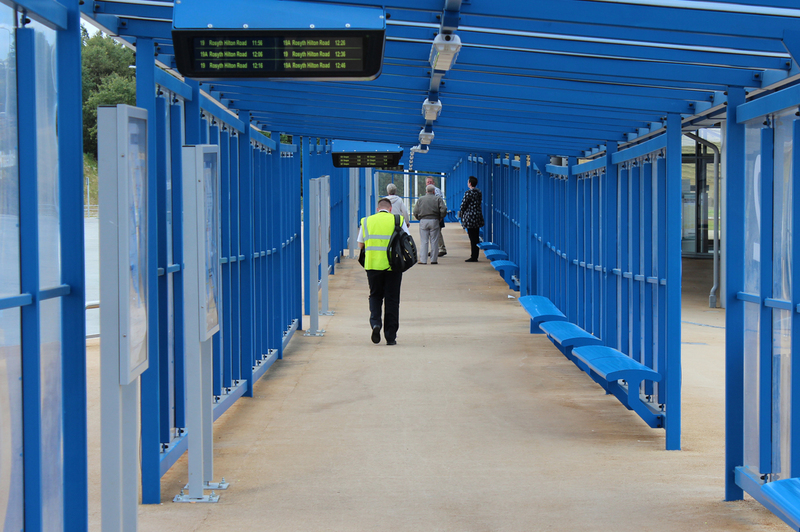 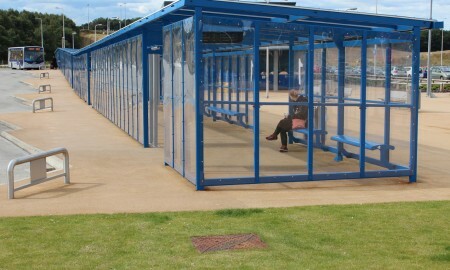 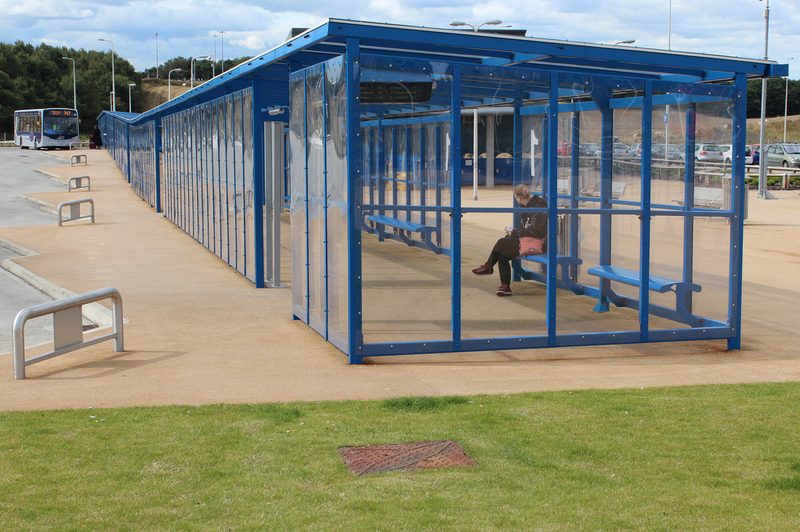 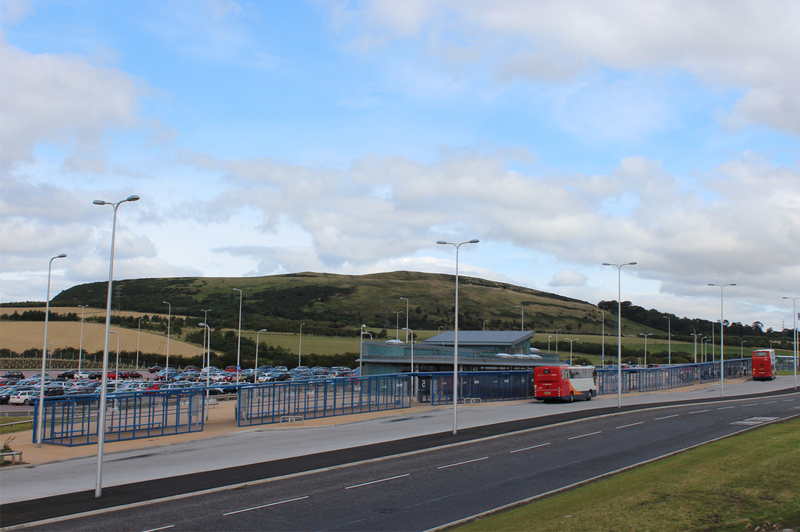 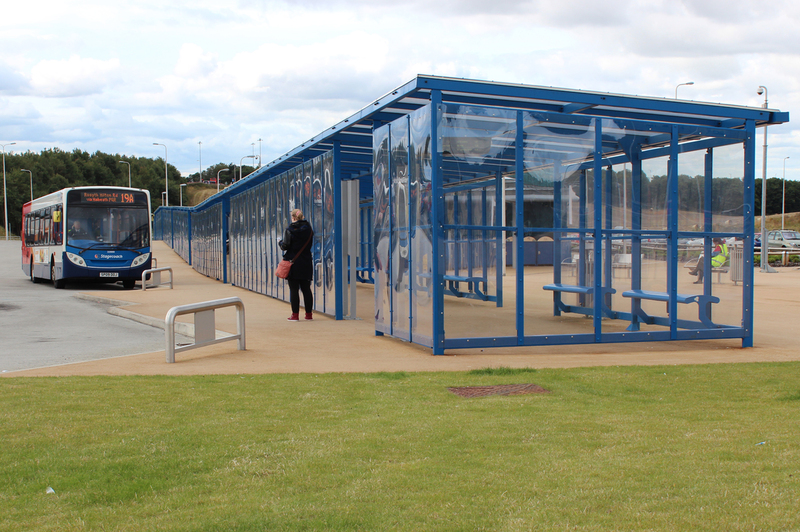 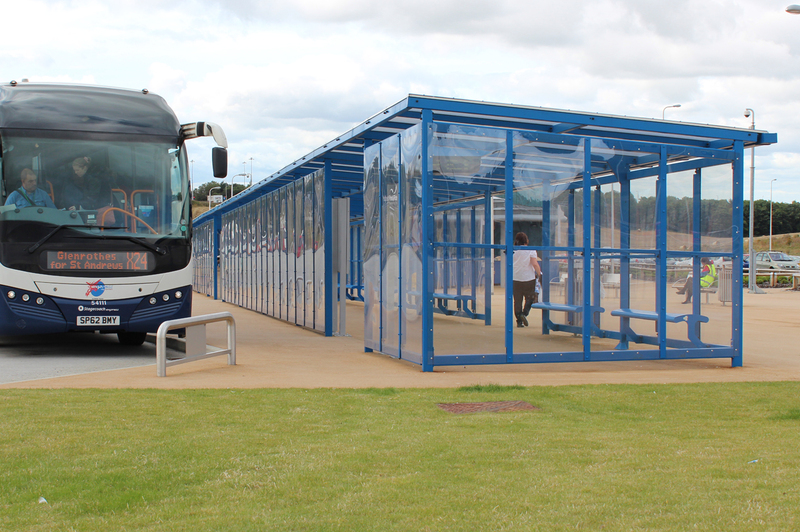 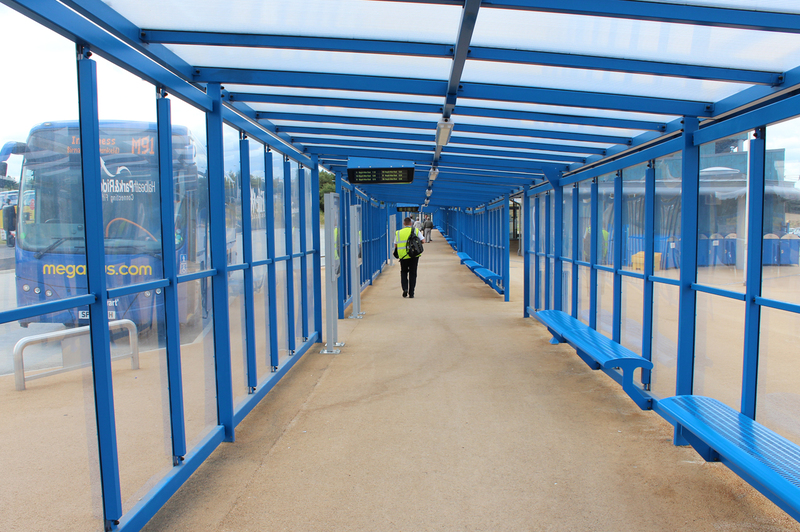 Broxap were commissioned to design, supply and install the passenger waiting facility for the Stagecoach buses. 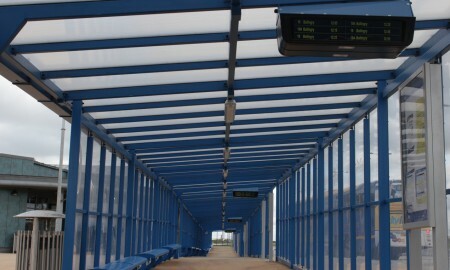 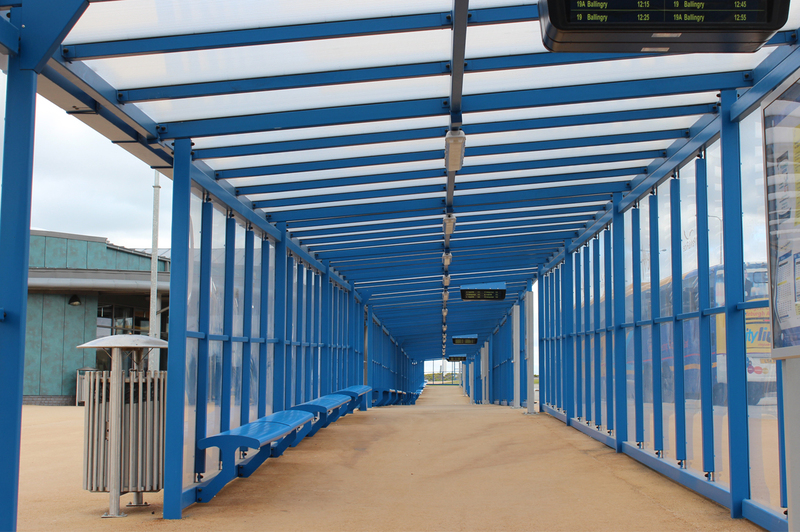 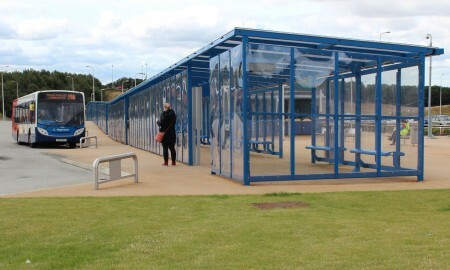 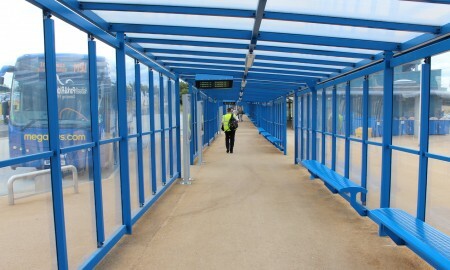 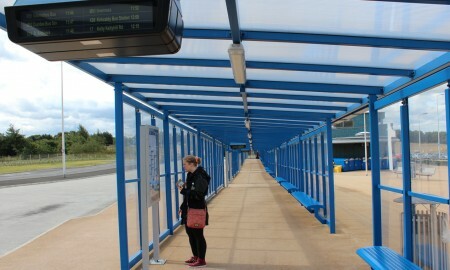 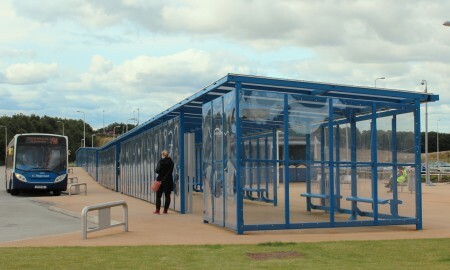 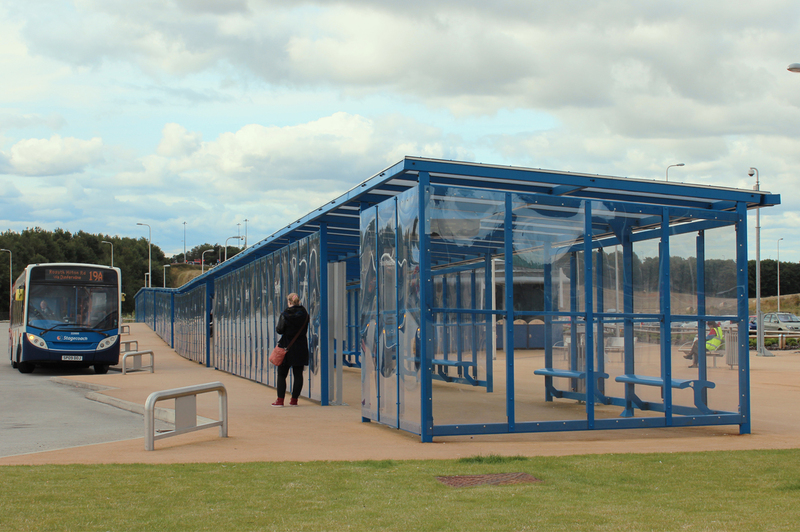 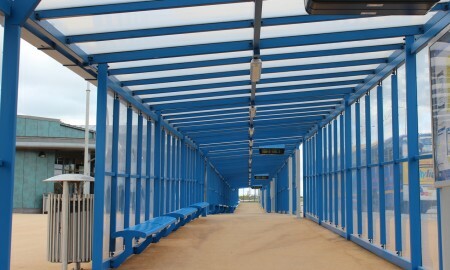 The structure spans the bus parking lanes and passengers can wait in comfort and out of the inclement weather whist being informed of bus times by electronic timetable screens based within the shelter.